You need to be on page one of people's search results. Let us help you get there! 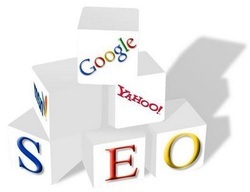 Are you ready to improve your website's search engine rankings, increase its traffic, and out-optimize your competition? Our professional and highly trained staff will optimize your website's design and architecture, select keywords for your site that will have your rankings exceed your expectations, and perform a competitive analysis of your keywords in relation to your competition. We understand how search engines see on-page content, title tags and meta descriptions, and how users viewing your search results is a requirement for good rankings, good conversions, and lower bounce rates. The challenge is to make your copy read well for your users while simultaneously satisfying the search engines. Our copywriting specialists﻿﻿ can take your website to the next level.